New sale information since original post: Please go here to review current sale information which provides additional savings to the prices listed below. 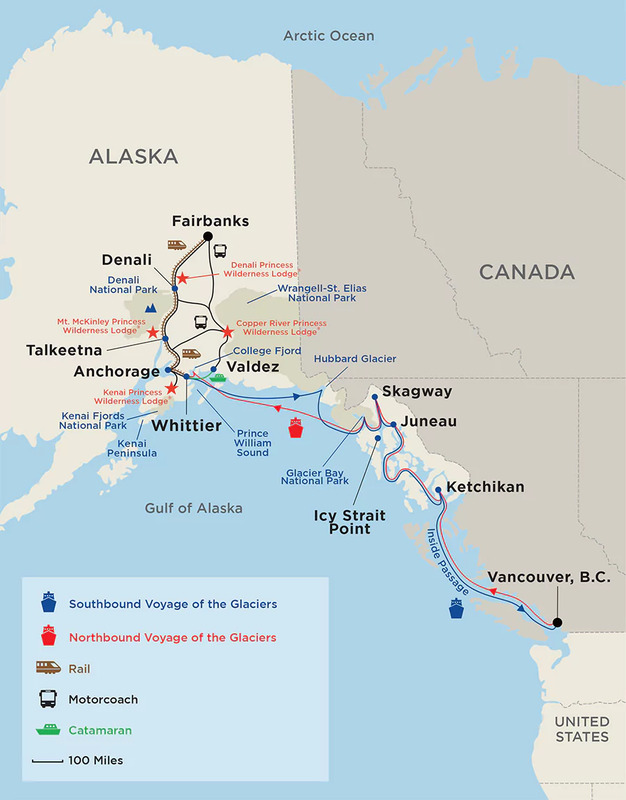 Our group will be taking the blue Southbound Voyage of the Glaciers on the map below. Click here to view Video 1 of our ship. Grans On The Go (Melanie and Marla) love travel, travel blogging and photography. Most of all we love sharing all of our information with our friends. 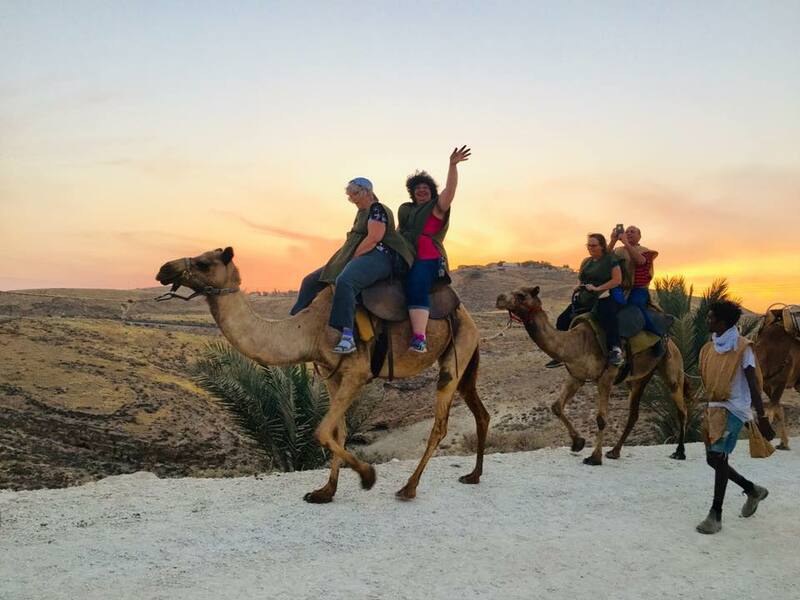 But we want to be clear that we are not travel agents; therefore, we have enlisted the services of a professional travel agent, Pam Cheek of Globe Getaways, to handle the details. Pam will take your deposit or will accept periodic payments between now and final date of payment, which will be approximately 90 days before the first date of your group cruise or cruisetour (approximately March of 2020). See travel agent information below. Please follow the Grans On the Go Facebook page at https://www.facebook.com/Gransonthego/ for ongoing questions and answers with our travel agent, or feel free to call or email her. Deposits: A 20% deposit is normally due at sign-up after email confirmation with Pam and would be fully refundable up until final date of payment (approximately 90 days from sailing). The most popular room selections book first, which is the best reason to sign up now. Passports: You will need a passport to go on our Alaska cruise or cruisetour. You can sign up to go and pay your deposit without a passport, but you will need a passport to sail. Go to this passport information article and read about the six month validity rule. Check your passport date and make sure it does not expire after July 10, 2020. If you do not have a passport, apply for one here. Please read through all information below before signing up. Most questions will be answered here. Once you have decided you want to join us, please come back to this section and follow the links below, sign up, and pay your deposit. 2) Email Pam Cheek at pam@globegetaways.com and let her know you are part of the Grans On The Go group (GOTG Group). You may choose your room category or discuss this with her. Her phone number is listed in the information below. Please do not send any amount of deposit until you hear back from her on email. Easy, convenient way to travel. Unpack once and experience the best of Alaska. There is nothing easier than simply waking up in the morning to new ports or breathtaking glaciers. And many of the Alaskan ports are hard to get to by road. Most days will be on the inside passage, where the water is smooth, clear, and protected from the wind, without the boat rocking. Unbeatable value. Your cruise fare includes accommodations, dining, entertainment and an endless array of activities. Refreshing sea air. Sea days can be as relaxing or active as you wish. There is nothing comparable to being out on the open sea with cool ocean breezes. YOU will decide on one of the three options below, or you may opt to design your own cruisetour with our travel agent, Pam Cheek, and still be a part of our cruise group. There are other options available at the Princess website. Seven day cruise aboard Grand Princess. Fly to Anchorage and cruise south from Whittier to Vancouver, British Columbia. Prices start at $990 (not including flight and pre/post hotels). 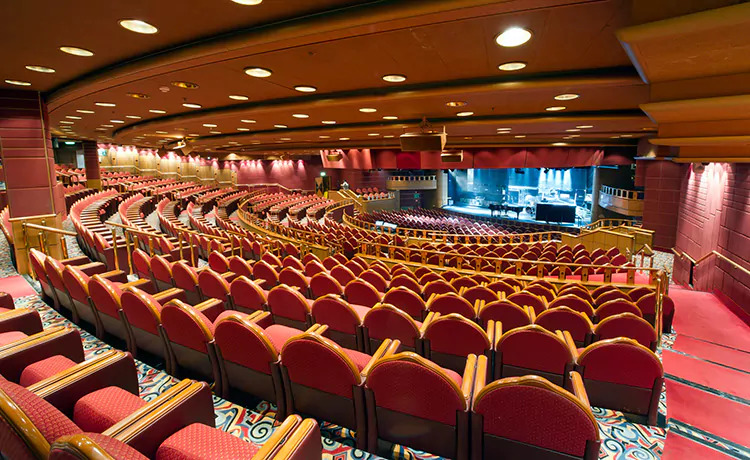 The entire group, Groups 1, 2, 3, and 4, will meet up on the Grand Princess ship at the port of Whittier (close to Anchorage), and we will cruise south to Vancouver. The cruise has ports at Anchorage (Whittier), Hubbard Glacier (Scenic Cruising), Glacier Bay National Park (Scenic Cruising), Skagway, Juneau, Ketchikan, Vancouver. At the end of seven days, you disembark in Vancouver, you will be on your own to tour the area or fly home. See Option 1 Pricing Chart below. With so much to see and do both at sea and on land, how does one choose which type of Alaskan vacation to plan? Simple – get both with an Alaska CruiseTour! Cruisetours are convenient, value-packed bundles combining a cruise (typically 7 nights long) with an extended land tour (usually from 2 to 8 nights.) Not only will you save by bundling your cruise with a land package, you’ll also come away with a more in-depth vacation experience. Only Alaskan Cruisetours include overnights in cities and more, along with the expansive Denali National Park & Preserve. Board a motorcoach for your journey along the George Parks Highway, an attraction in itself. You may catch your first views of incredible Denali along the way. Once you arrive at the Mt. McKinley Princess Wilderness Lodge, the mountain is visible from nearly anywhere on the property. Take in those sensational views with a glass of wine in the Great Room or on the expansive deck. The 20,320 Alaskan Bar & Grill is the perfect place for a relaxed dinner to end your day. You have a full day to spend however you choose. Visit the tour desk for ideas about excursions from fishing to flightseeing. Or you might prefer to explore the nature trails at the lodge and take in the sweeping vistas all around you. Sit and gaze at the majesty of “The Great One” from the lodge’s treehouse designed and built by Pete Nelson of Animal Planet’s Treehouse Masters. 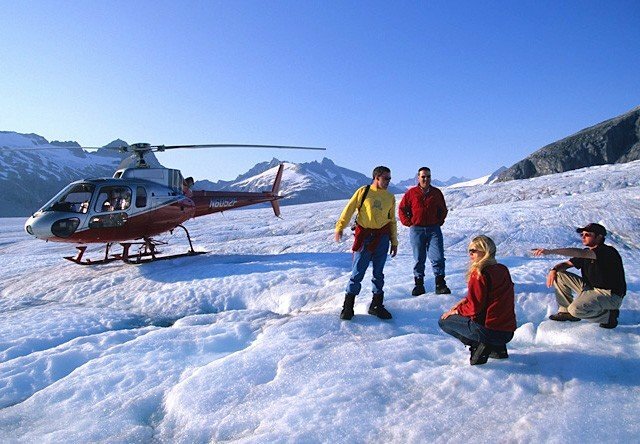 homestead tour, fly fishing or a glacier landing via helicopter. want to stop by the tour desk to plan an activity such as rafting or hiking. Enjoy the scenic rail journey through some of the best wilderness in the Great Land on our exclusive Direct-to-the-Wilderness rail service. Once in Whittier, you’ll step from the train onto your ship for the beginning of your unforgettable cruise. See Price Chart 2 below for Option 2 tour listed above. Alaska’s “Golden Heart City” of Fairbanks is a great introduction to the heart of this unique state. Check in to your hotel and get ready for the beginning of your adventure. A cruise along the Chena River on a Sternwheeler Riverboat is about as authentic as it gets. Later, you’ll head for Denali National Park via a scenic motorcoach trip for your arrival at the first of your two destinations at Denali, the Denali Princess Wilderness Lodge. You have a full day to get out into one of America’s best national parks. This morning, a Natural History Tour serves as a wonderful introduction to the animals, plants and geological features found there. Later today, you may want to stop by the tour desk to plan an activity such as rafting or hiking. This morning you’ll travel by motorcoach to the south side of the park for two nights at the Mt. McKinley Princess Wilderness Lodge. Take in the sensational views with a glass of wine in the Great Room or on the expansive deck. Hear stories about climbing Denali in the Hudson Theater or roast a marshmallow at the fireside patio. You have a full day to plan however you choose. Stop by the Tour Desk for a variety of optional excursions. Walk the nature trails around the lodge or sit and gaze at the majesty of “The Great One” from the lodge’s treehouse, designed and built by Pete Nelson of Animal Planet’s Treehouse Masters. After a morning enjoying the vistas, you’ll transfer to the historic town of Talkeetna to board our exclusive Direct-to-the-Wilderness Rail service for the journey to Whittier and your waiting ship. See Price Chart 3 below under Price Charts for prices on above tour. Princess Disclaimer: Motorcoach may be substituted for rail on some departures. Port arrival and departure times are approximate and subject to change without notice. For more information please review the Passage Contract on Princess website. **Note: Food for land packages sold separately. PROMOTIONS: Our Travel Agent, Pam, will be on lookout for Princess promotions in order to reduce the price of the cruise or cruisetour, even after you pay your deposit. 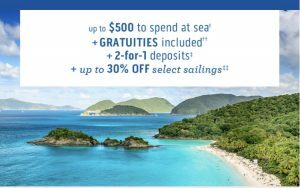 Past promotions include Three for Free, Sip and Sail, Early Bird Special, etc. This does not mean we will receive these offers, but Pam we will be actively looking. From our Travel Agent: About every three to four months, Princess comes out with a new promotion. They will allow you to change from one promotion to another as long as final payment has not yet been made and there are still cabins available in your category to sell. Please contact Pam Cheek. Pricing will be monitored and the group will be informed by Pam whenever promotions become available. GROUP DISCOUNTS will be applied as our numbers grow and deposits are made. We will not know the total for the group discount until we know the total number of people who will be in the group. Of course, the more who sign up, the deeper the discount. How do I ask Questions about my Group Cruise or Cruisetour: We will have an ongoing Facebook thread athttps://www.facebook.com/Gransonthego/ about the cruise and excursions. Feel free to ask questions there and please share any information you may acquire. If we share information, we lessen the research time for others. Our Travel Agent, Pam, will be a part of our Facebook group and will be there to monitor questions and answer as questions arise. This is most beneficial since people seem to ask the same questions. She will also be available by phone or email. Individualized Itineraries: If you prefer an individualized itinerary that we have not offered in our four options, we suggest that you call or email our travel agent, Pam Cheek, (see information below) to discuss your INDIVIDUAL options for the cruise. Please make sure she knows you are part of the Grans On The Go Group. She will discuss with you various options for ship rooms, including some not listed here. She will also discuss with you various cruisetour options for the land portion if you have other interests. Our travel agent, Pam Cheek, on one of her own adventures! Travel Agent: Pam Cheek is a passionate traveler whose extensive travel experience includes Alaska, Israel, Europe, and South America. She has 14 years of experience working in the travel industry. She maintains Commodore status as a Princess Cruise Expert and Princess Alaska Expert and has personally traveled multiple trips to Alaska. She is dedicated and excited to help our group experience her love of travel. Feel free to ask her questions on the threads about cruising on our Grans On The Go Facebook page, https://www.facebook.com/Gransonthego/ or contact her at Pam Cheek, Senior Travel Agent, Globe Getaways. pam@globegetaways.com or (817) 201-3332. Excursions for your cruise during port stops: Your cruise and/or cruisetour does not include any excursions you plan to do in the port stops. It is perfectly acceptable to cruise and not book any excursions at all and simply tour the ports on your own. The scenery is beautifully breathtaking and enjoyable with no excursions. Most people plan at least a couple of excursions, and some plan one excursion for each port stop. We suggest you book excursions through the Princess website, because if something goes wrong (car or boat problems, medical issues, etc. ), Princess is responsible for getting you to the next port. 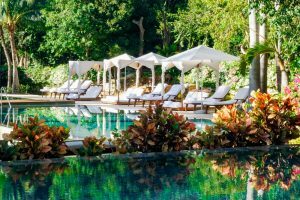 However, that does not preclude you from going on your own and booking your own excursions with an outside agency or group. Click here to find out more options for shore excursions. How do I book excursions? Once you book your cruise through Pam Cheek, you will be able to log on to Princess Cruises through your own account and set up your desired excursions. How do I book airfare? Princess has negotiated new, lower competitive air fares. Worry-free booking: With Princess Flexible air, you can change your flight up to 45 days prior to departure with No Change Fee. Book your flight now with no amount due until cruise final payment. Late-Arrival Protection: Ensures you’ll get your cruise if flights are delayed or cancelled, and Princess will get you home if for any reason the cruise or Princess transfer cause you to miss your return flight. For help, contact us or your Travel Agent, Pam Cheek, about Princess EZair®. You may, of course, choose to book your own airfare, but be aware that Princess will not be responsible for missed boarding, excursions, hotels, or any other missed activities on your itinerary. NEW INFORMATION SINCE ORIGINAL POST: The sale has started May 1, 2019. Go here to read about the sale fares that apply to our cruise. This option has been canceled..
Post-trip Options for Disembarkation (Vancouver): Post-trip visits in Vancouver, the point of disembarkation (or Seattle, which is 3.5 hours away by car or train) are options for those who have a little more time to spend. Insurance: We suggest booking insurance through Princess, but you, of course, have the option to book with another company or not at all. Disclaimer: Your contract will be between you and Globe Getaways and not with Gransonthego. 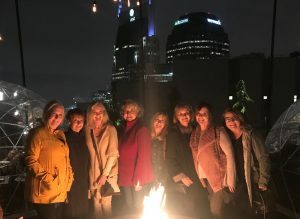 Gransonthego will organize group dinners in the evening through Pam, and we will have some optional meeting times for the group. Looking for a Roommate? If you are a solo traveler and would like to share a cabin onboard the ship or a hotel room with another traveler, we anticipate others might be looking for a roommate. Please let us know and someone will help you find someone compatible for our group cruise. Princess Refer-A-Friend Program: Past guests, refer a friend who has not sailed with Princess to earn $25! HOW IT WORKS: Simply be a past guest of Princess Cruises®. Invite a friend who has never sailed or booked with Princess® before. You both get a $25 reward for each successful referral. Please let our travel agent know if you are a past Princess Cruiser. 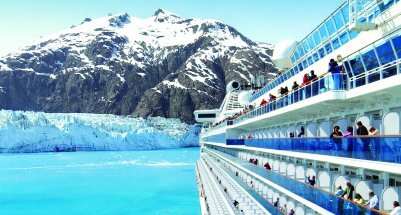 Read “Six Reasons to Book Now Instead of Later” for the Alaskan Cruise. For whale watching and viewing the beautiful glaciers you might want to bring along some good binoculars. Be sure and take along a raincoat and waterproof shoes. Attached are some Amazon products you might want.